Smart TV set is a great product. Add a bit of Kodi into the mix and you’ll have a super Smart TV. As in, Kodi’s previous name is XBMC. There, glad we are all over that one. The other thing you need to know right now is that Kodi is probably the best open source home theater software application in the world. It offers a ton of content. And it does that free of cost (sometimes). Other times, it charges you money, but we won’t talk about that here. But of course, this is the real world we’re talking about here. You always have to give up something to get something else that is good. Maybe you have an impressive home theater already installed. And you also have an imposing display screen. Let’s also assume that you have some terrific sound equipment as well. In that case, Kodi is only going to improve your entertainment experience. It is probably the single most useful piece of software you can download and install if you want to watch high-quality content from dozens of sources for all times. As mentioned before Kodi is the best open source media player in the world today. We tend to think it is a great project which benefits a lot of people who are short on time and have a big backlog of content to watch and experience. And this means there is complete transparency in its code. If you want to check up on something related to Kodi then you are free to do so. As alluded to before, Kodi isn’t great because it is open source. It is great because it can bring with itself such a massive range of high-quality content. All of this is enough to keep you entertained for the rest of your life. This Kodi guide will show you how to quickly install Kodi running on your Smart TV. Old TV habits will have to make way for new ones. Kodi has a huge ecosystem. This ecosystem consists of add-ons. You can install these Kodi add-ons for whatever content you need to watch via Kodi. Kodi has a wide range of Kodi add-ons not because the people behind Kodi are very hardworking, but because Kodi is open source. And that means third-party developers can make add-ons for Kodi. And they have made a ton of them. With Kodi, you can actually stream content from streaming sites like YouTube right on the screen of your Smart TV. You can also watch movies from torrents on your very own Smart TV with Kodi. Kodi also has these audio add-ons which make it easy for you to listen to whatever type of audio you want to listen to. There are also some good Images Kodi add-ons. All of these add-ons raise Kodi to the status of the ultimate and perhaps the best and the most versatile Home Theater app. This super guide will also show you how to know more about Kodi app that works with Smart TV. If you are one of those users who has a Smart TV already then you are in great shape. Because you already own a display hardware that can improve any content without any charge via its display quality. All Smart TV sets come with their own set of unique functionalities. Some of those functionalities are even useful. And if a user decides to install Kodi on Smart TV, then your Smart TV takes playing content to another level. Because with Kodi, your Smart TV becomes with Mammoth Home Theater equipment. With Kodi your Home Theater setup is complete. In this guide, we will also cover topics such as how to quickly install Kodi media player on LG Smart TV and how to quickly install Kodi media player on Samsung’s Smart TV. Then, as time continues to pass, we will also update this guide to teach you how to quickly install Kodi media player on more Smart TV brands as well. Let’s say you own that wonderful piece of technology known as the Amazon Firestick. We have a solution for that too. All you need to do is go to the official website of Kodi and then download the Amazon Firestick app for it. Of course, you can always refer to this guide on how to quickly download Kodi media player for a Smart TV set. Can You Quickly Install Kodi Right Now On Your Smart TV? Can You Download The Latest Kodi media player Right Now For A Smart TV Set? In other words, if you have the right conditions then you can download Kodi media player on your very own Smart TV. The only requirement that you have to fulfill in order to install Kodi running on your Smart TV is that your Smart TV must run on a version of Android OS. If you have a device that has Android OS on it, then you should have no problems in installing Kodi on it. After that, you can just go ahead and enjoy all the good things that Kodi has in its treasures for you. Kodi, officially, supports the Android platform. So users should face no problems in installing Kodi on their Android devices. You can quickly install Kodi on Android smartphone as well. Some Smart TV manufacturing companies do not want to use Android OS for their Smart TV sets. You can’t install Kodi on such Smart TV sets. In other words, what’s the deal with Samsung’s Smart TV sets? Well, basically Samsung makes use of Tizen OS for a lot of the company’s Smart TV sets. That means you can’t install Kodi on those kinds of Samsung’s Smart TV sets. Samsung also manufactures some Smart TV sets that do run on Android. If you have one of these models then you can quickly install Kodi on your Samsung TV easily. All you need to do is go to the official Kodi website and then install XBMC media player on your Samsung’s Smart TV set. In short, if you have a device that is capable of running Kodi, then it is very easy to download Kodi media player for your Smart TV. Again, all you have to do is go to the official website of Kodi and download Kodi from there. What If I Like Movies A Lot? First, learn to balance your movie addiction otherwise it can cause some health problems. All jokes aside, we’re here to tell you that the best Kodi add-ons for streaming great movies, without a doubt, is Kodi Genesis. We’ll talk more about this add-on in a later post. All you need to know is that you must install Kodi Genesis add-on to gain access to a ton of movies amongst many other content types. Before we move on to the topic at hand you need to learn more about this important update. It has to do with installing Kodi on Samsung’s Smart TV. As of this moment in time, we now know for sure that most of the Samsung’s Smart TV run on Tizen OS. This means that they don’t make use of the powerful features that Android affords them. As you already know now, you can’t install Kodi on a Samsung’s Smart TV that isn’t running on Android. Kodi still does not support Tizen, so there is that. and of course, if your Samsung TV does not support Android, it can’t have Kodi either. If you still want to know how to quickly install Kodi media player on your Samsung’s Smart TV then you must purchase a new device. This device is called an Android Box or Player. Now, onto the topic of how to quickly install Kodi media player on Samsung’s Smart TV that is running on Android. Kodi on Samsung TV is nothing new. If you have met the requirements then you can use this method to install Kodi on your Samsung TV. As mentioned before, if you have Android powering your Smart TV, then installing Kodi on your Samsung’s Smart TV will be very easy. All you need to do is follow the steps below and install XBMC player on Samsung’s Smart TV. On a side note, if you love Live TV then Kodi has a Live TV add-on for that as well. We’ll talk more about “watch Live TV via Kodi” a little later though. After the search is complete, click on the result that says Kodi and install it. You’re done with the bulk of the work now so just remain calm. All you need to do now is open up Kodi on your favorite device and then get ready to watch the best content that you could have ever wished to watch. Now you need to find some good Kodi add-ons. Then you need to install those useful Kodi add-ons. 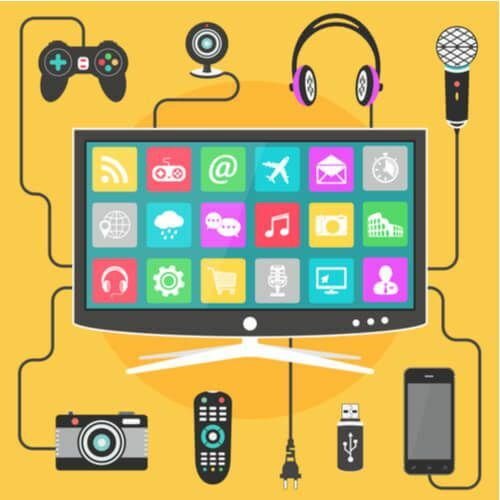 After that, you’ll be able to enjoy some great content all from the comfort of your smartphone and/or tablet or of course your Samsung’s Smart TV. If you have a Samsung’s Smart TV then that is great. But if you install Kodi on it, then you get a Kodi Samsung’s Smart TV. This piece of device is a monster to tell you the truth. What If You Don’t Have Samsung TV That Doesn’t Have Google Play Store? Maybe you are one of those people who don’t have access to Google Play Store and don’t have Android running on their devices. Then you need to follow the steps described below to install Kodi on Samsung’s Smart TV. To do that right now go to the official website here. Then transfer the downloaded file on your Samsung’s Smart TV. Now you have successfully installed Kodi on your Samsung’s Smart TV. Now you may wonder, “where to go from here”? But before the next section, ensure that you have installed the latest version of Kodi. That is very important if you don’t want to run into performance issues later on. How To Quickly Install Kodi Media Player on LG Smart TV (Say Goodbye to Web OS and Say Hello to Kodi)? LG is probably one of the biggest Smart TV players in the technology industry. LG produces tons of different types of gadgets and devices which allow people to improve their quality of life. and you must have used at least one of them. LG has a thing called WebOS. This WebOS powers some of the LG Smart TV sets on the market. And there are also some LG smart TV sets that run on Android. As if you have read anything before this section of the guide then you know what is coming next. You need to have that LG Smart TV set that runs on Android. And you don’t need to thank your luck if you already own an LG Smart TV that runs on Android. Thank your intelligence this time around. With an LG Smart TV running on Android, you can easily and quickly install XBMC media player on it. The process is almost the same as it was with Samsung’s Smart TV. To install Kodi on LG Smart TV, you will have to go through a similar set of steps but we’ll make sure you know what to do shortly. If you folks at LG want to compete with other display technologies then you will have to develop technologies that work with Kodi. Otherwise, most of your customers will move to other Smart TV brands that do support ANdroid and Kodi. For the reader reading this guide, we say that LG has to develop something like a Kodi WebOS (Kodi staff can also do it if they want to) so that people can start to enjoy great quality content on Kodi via LG Smart TV as well. LG has a great lineup of devices, especially Smart TV sets. But it needs to make sure that people are able to have Kodi on LG Smart TV. It is impossible to install Kodi on LG Smart TV at the moment. But there are some alternative solutions. If you have Kodi on your LG Smart TV already then the process is very simple. All you have to do is go to official website of Google Play Store and then search Kodi there. After that install Kodi on your LG Smart TV and you’re good to go. Remember to install the click button after you have searched for Kodi on Google Play Store. Sometimes folks miss this step and end up wasting a lot of time wondering what is wrong with their device. If you have followed the above steps correctly then you should have Kodi on your LG Smart TV. And if you have Kodi on your LG Smart TV, then you can actually stream audio files along with movies and tons of other forms of excellent content directly from your LG Smart TV. And while you’re at it, it isn’t a bad idea to search more on the best Kodi add-ons for the year 2017 as well. If you want to consume the best content, you’ll have to say goodbye to your old dumb TV. The Smart TV industry is relatively new. People don’t know a whole a lot when it comes to products in this industry. Most people only know the brand name of a given Smart TV set and maybe the size of those TV screens as well. Some people also know the technology the company has used in its Smart TV display but that is about it. There is a ton of valuable information that people could know about Smart TV sets before they go out in the market and buy one. In other words, don’t fall for brands every time you want to buy a Smart TV or any other device. Look for a Smart TV set that runs on Android. A Smart TV powered via Android is better than a Smart TV set that runs on something else. If you come across a Smart TV running on Android then buy it before you buy anything else. Moreover, keep a good eye on your requirements as far as processor and ram are concerned. It is actually critical because if you want to experience HD streaming then you need a powerful set of hardware. Kodi Samsung’s Smart TV sets are a perfect example of powerful hardware working with Kodi to entertain their users. What if I Don’t Follow The Guidelines Presented Here? If you happen to have any Android TV or a Smart TV with Android, and then you go ahead and install Kodi on it but don’t have a powerful enough Smart TV or Android TV, then you will experience a lot of lag while streaming content from Kodi. Lagging is never good when you trying to watch something you really want to watch. Lagging causes the user to spend more time in streaming movies and it causes many other issues to raise their ugly heads as well. So before buying a Smart TV, always check the device’s hardware specifications of that Smart TV. If you bought a great Smart TV with powerful hardware and then installed Kodi on it then your streaming experience will reach heavenly levels. If you don’t have Android powering your device then we’re afraid you’re going to run into some problems. Because you, then, wouldn’t have a simple and straightforward way to quickly install Android operating system on your device. Of you can always use your older Android device in order to install and then set up Kodi media player on your very own Smart TV. This section will teach you how to do all these steps at the same time so that you can save some time as well. Remember, all good things come to those who wait and work hard. So even though the process might be difficult, by the end you’ll have Kodi running on your Smart TV and will be able to watch movies, see images and experience some great tourist places if you’re into that. This section will also teach you how to upgrade your TV from “dumb” to “smart”. Raspberry Pi will come at a cost of about $40 to $50 but it is well worth the price. Because it will convert your dumb TV to a Smart TV. With Raspberry Pi, casting your smartphone’s screen on your TV screen will become very easy. In other words, with Raspberry Pi watching and streaming YouTube on your TV will become the norm for you. It takes a lot of time to install. And its setup process is rather long. Another problem with streaming content via Raspberry Pi is that it lags. If you stream HD videos with Raspberry Pi then you will experience a lot of lag. Sometimes you just don’t want to spend any of your hard earned money on an Android device. For those moments, you can always buy an Android smartphone. Hang on for just a minute before you say “I don’t want to spend on Kodi device and you’re telling me to buy a new Android smartphone”. We don’t want you to buy just any new Android smartphone. We want you to purchase an Android smartphone that has a broken screen. And hence they are perfect for your very own Kodi setup. Moreover, you can also make use of a mouse and keyboard to finish the Kodi setup. After that, all you need to do is configure Kodi and you’re good to go. All the steps are simple when it comes to a Smart TV that doesn’t run on Android. What if you are an Apple TV user? Again, it is not a problem. Because Kodi supports Apple TV. You can install Kodi on your Apple TV directly without any intermediate steps. There is also an Amazon Firestick hack and some other stuff that you can use which we will talk about at some other time. Big manufacturing companies will have to make their new TV models work with Kodi. Smart TV sets are great not because they have a terrific display screen. But because they have fantastic features. Most of these new features are extremely relevant and useful. And that’s why more and more users are demanding Smart TV features for all TV sets. Now we will discuss some of the features that you get when you buy a Smart TV set. Remember, even if you don’t understand a feature, it doesn’t mean it is a waste of time. Most of these features are actually useful. If you learn how to quickly download Kodi on Samsung’s Smart TV then you will practically change the way you experience TV forever. With a Smart TV, you can surf and browse the online world right from your TV. You don’t need a laptop or a PC to access the internet anymore. Moreover, Smart TV comes with apps that let users access YouTube, Facebook, and many other sites right from the big screen. 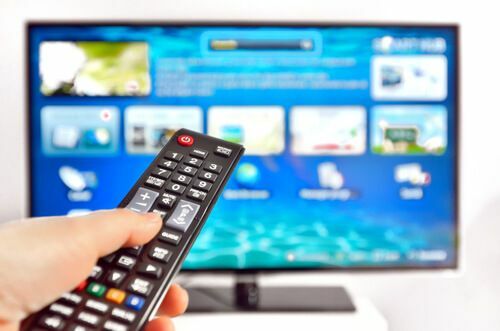 Smart TV allows users to share all sorts of media files from their TV sets. Smart TV sets use Wifi to make this feature work. And as a result of your Smart TV using Wifi, you can transfer files very quickly to any other place of your choosing. Moreover, you can also play files that are shared with you on your Smart TV. This is perhaps the coolest and most beneficial feature. With a Smart TV, streaming content from your smartphones to your Smart TV screen becomes very easy and fast. You can even play video games on your Smart TV big screen. And use some of your favorite applications as well. With a Smart TV, users can record Audio and Video content right on their Smart TV. You will love it when you can just record a live program and then watch it later while the rest have to wait for someone to upload it on YouTube. Smart TV sets have tons of ports. Some of these ports are Ethernet, HDMI, USB and a lot more ports. These help you connect many types of other devices with your Smart TV. You can even connect your personal computer or Sony PlayStation with your Smart TV and play HD games directly on it. Users can also utilize ports to connect HTPC devices such as Amazon Fire Stick and Roku. Some Smart TV sets also come with Ethernet ports. We recommend that you should always try to connect your Smart TV with the internet via Wired Internet cable. Wireless connections aren’t bad either but they are slower. And sometimes they can create problems while you try to stream HD content to your Smart TV. Use an Ethernet cable and connect your Smart TV directly to your router. Install Kodi running on your Smart TV to benefit from this feature even more. And most of all enjoy. This is the age of Internet of Things. Smart TV sets are a part of these Internet of Things. 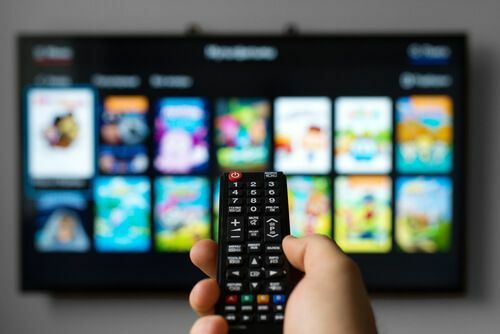 This revolution means that users can now connect their TV sets to the worldwide internet and surf the web on their TV sets. Smart TV sets can also enable users to visit sites like YouTube along with other types of services right from their big screen. But Internet of Things devices come with their own problems. The primary problem with Internet of Things devices is that they are connected to the worldwide internet. And whenever something is connected to the worldwide internet, it means hackers can hack it. Internet of Things devices don’t have a great security suite to protect them. If a hacker gains access to your smart TV then the hacker can know what you are listening to and watching on that brand new Smart TV set of yours. The hacker may also gather some other types of personal data about the user as well. And that presents a lot of risk to user privacy. Always consider the effects a Smart TV would have on your privacy. Some Smart TV sets have cameras. And hackers love to hack cameras so they can monitor your activities. Hackers have always had a great with Webcams as well. So you can bet that they will hack Smart TV cameras as well. Simply put, a hacker taking over your Smart TV camera is bad. Privacy concerns are nothing new. And you should not take it likely. One of the biggest reasons why people badly want to install Kodi on Samsung’s Smart TV is also because of privacy reasons. With Kodi on your Smart TV, you will have access to a better menu and better user interface. And you can use a VPN service provider with Kodi as well. That way you will be able to hide yourself with a VPN service on your Samsung’s Smart TV set. Which VPN Service Should You Use? There are many VPN service providers in the market. But the best one is IPVanish. It comes with a money-back guarantee so you are literally at no risk while buying IPVanish. Click here to buy IPVanish from the official website right now. Smart TV sets have taken over the technology discussion in many industries. Because Smart TV’s are robust and adaptable. The user can install apps, a lot of them, on their Smart TV sets. A lot of manufacturers are now moving towards Smart TV sets that use Android because they know the benefits of doing so. 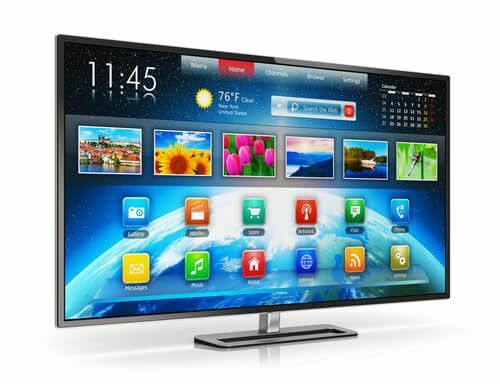 Not to mention, the App development process is also very simple for a Smart TV set. Samsung along with LG is the exception though. They still believe in their operating systems and all power to them. Sooner or later they will come around and use Android too. In other words, LG’s Web OS and Samsung’s Tizen OS are heading only one way and that way is down and out. Smart TV interfaces are too complex to be handled by just one or two major manufacturer’s operating systems. Their operating systems also lack many popular apps. Not to mention that using these operating systems is not an exciting experience. That’s it for this super guide. And If you have any thoughts or comments, make sure to let us know via the comments section below. In order to get every feature and addon possible on kodi and to not get sued if you accidentally watch something pirated, you need a VPN. You can find the 5 best VPN’s for Kodi here. We’re disappointed that you found the guide to be useless. Please elaborate a little so that we can improve it for you. Thank you. He must have read the same guide that I read. We’ll update the guide to correct any mistakes.